Today, digital crime & data security is of more importance than ever before. The World Wide Web allows wrongdoers from all over the globe to illegally access & share information, to the detriment of millions of businesses, service users & individuals. Service providers, institutions & businesses of all industries now have a more pronounced responsibility than ever before to deliver flawless data security. Protecting your & your clients’ sensitive data is of the highest priority for management today- and this includes in the IT disposal service. Data retrieval from hardware is of a more urgent concern than ever before- and the only way to guarantee security of your sensitive data is with a comprehensive hard drive wipe. Hard drive disposal & data destruction services are the only safe way to ensure security for your valuable data: and a certificate of hard drive destruction is the only guarantee of total data security. Responsibility doesn’t mean compromising on data security. The highest standard of SSD secure erase with a digital hard drive wipe. Specialist IT recycling services to recover your secured & wiped hardware. Computer remarketing services to provide maximum cost effectiveness & ethical standards of electronic recycling without compromising data security. An efficient, expert computer disposal & electronic recycling service tailored to your needs. 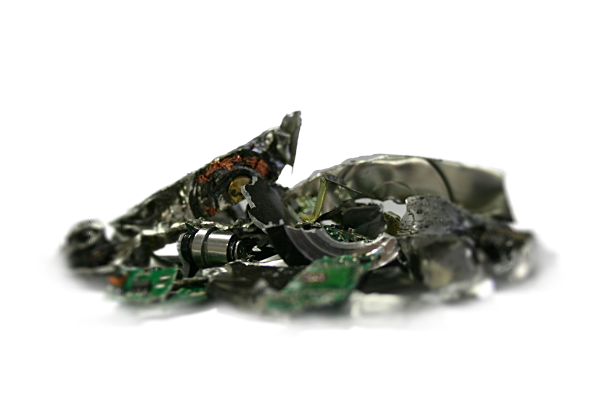 A certificate of hard drive destruction is available to record & verify completion of each process. GDPR-compliant data control & secure hard drive disposal options. Data Shredding – Hard drive destruction service: we now offer a complete hard drive disposal service for unmatched peace of mind. Data shredding guarantees safe and secure destruction of sensitive data through complete physical disintegration of the hardware. At our state of the art disposal facility our team of carefully-vetted specialists deliver complete a tracked & closely monitored hard drive shred using the latest equipment, to remove the possibility of retrieval of sensitive data by any third party. All our hard drive shredding processes come with a data destruction certificate on completion. Hard Drive Shredding is the ultimate in secure, traceable and comprehensive data destruction. We can offer both crushing & shredding services to totally destroy hardware, and make any future attempt at recovery futile. This ensures your data remains unreachable & unrecoverable, even to the most advanced or determined hackers. Contact us today to learn more about what makes our hard drive shredding process the ultimate in secure, thorough and efficient IT disposal. Our team of electronic recycling & computer remarketing services experts are happy to help answer any questions about our SSD secure erase, tech recycle or hard drive destruction services.